SIKORA, manufacturer and global supplier of innovative measuring, control, inspection, analysis and sorting devices, presents at PLAST in Milan, Italy a comprehensive portfolio of systems for quality control, process optimization and cost savings for the hose, tube, sheet and plastics industries. With the CENTERWAVE 6000, SIKORA showcases a system for the measurement of diameter, ovality, wall thickness and sagging of large plastic pipes during extrusion. The system is based on millimeter wave technology and measures pipes from 90 to 3,500 mm. The CENTERWAVE 6000 is available in a rotating version and thus offers the complete measurement of the wall thickness at 360 points of the entire circumference of the pipe. Alternatively, a multiaxial system is available with static sensors. The PLANOWAVE 6000, also based on millimeter wave technology, is used for thickness measurement of plastic sheets. Another highlight is the PURITY SCANNER ADVANCED for online inspection, and sorting of plastic material. The combination of an X-ray camera with a flexible, optical camera system is the only technology at present that reliably detects contamination on the surface as well as inside of plastic pellets. Contaminated pellets are automatically sorted out. Depending on the type of contamination and application, optical high-speed cameras as well as X-ray and color cameras are used. 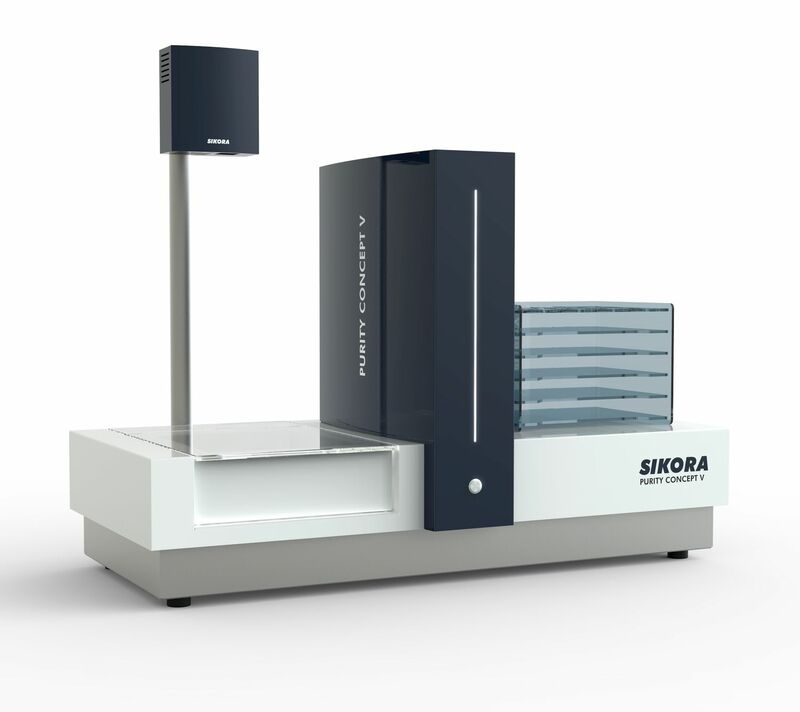 For smaller material throughputs and for applications where sampling analysis or incoming goods inspection are sufficient, SIKORA offers the PURITY CONCEPT Systems. Alternatively, these analysis devices can be equipped with X-ray technology or optical cameras and detect contamination in pellets, flakes, films/tapes and crosshead parts. SIKORA also shows a wide range of systems for online measurement of the diameter, ovality, wall thickness and eccentricity of products as well as for lump detection.